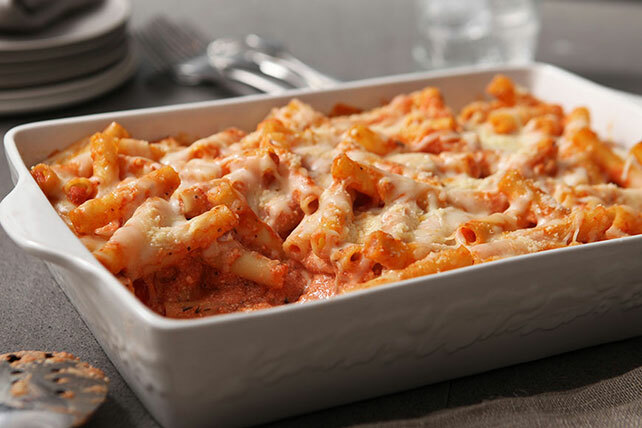 This delish dinner menu features weeknight-easy baked ziti, savory monkey bread, a veggie salad and even a better-for-you dessert. Hungry yet? No need to fuss over this cheesy entrée. With just five ingredients and 10 minutes of prep time, this melty baked pasta casserole will be in the oven before you know it! What's baked ziti without garlic bread? 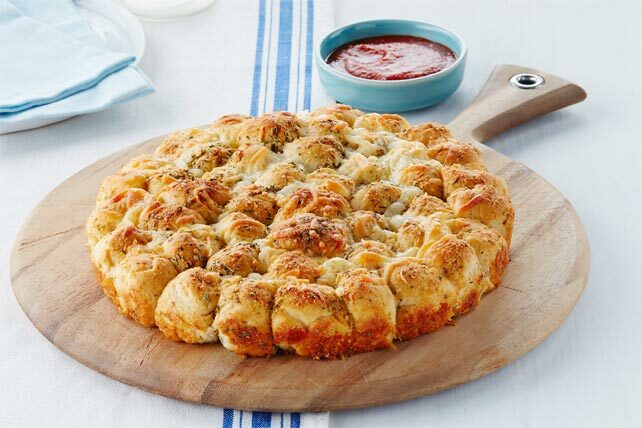 We broke with tradition by making this Parmesan-dusted favorite in a fun monkey bread form, and you'll never guess what we used as the base… Give up? Canned biscuit dough! 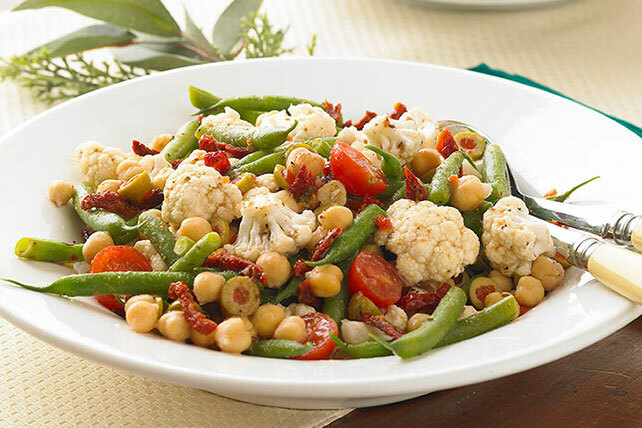 A quick make-ahead veggie salad, packed with green beans, cauliflower and sweet cherry tomatoes, rounds out the menu. Mix up this Healthy Living salad in just 15 minutes in the morning, then let the flavors meld in the fridge until dinnertime! 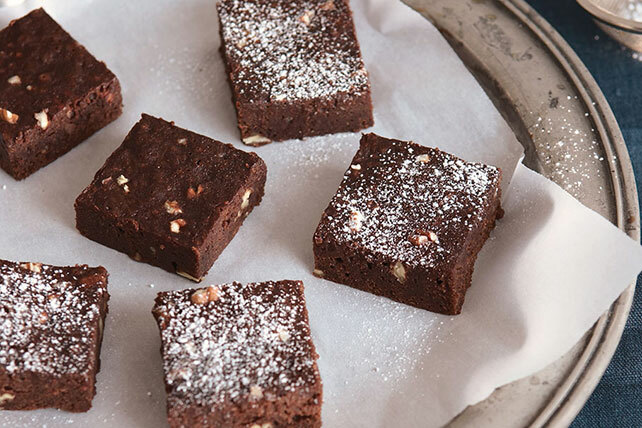 Bring the meal to a sweet finish with these pecan-studded brownies—made all the sweeter for the fact that they're a Healthy Living dessert. If your crew prefers blondies, no worries: We've got those, too!